Garden Design: A Small Back Yard Pond and Spillway. A Small Back Yard Pond and Spillway. 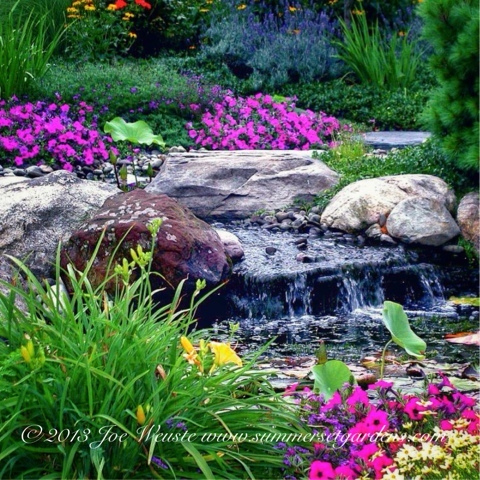 A small backyard pond and spillway surrounded with colorful, lush plantings in a NJ garden. Garden, pond and landscape design and installation services in the NJ and NY areas.